Infectious diseases occurrence: epidemics and pandemics. Fighting infectious diseases: the immune system, vaccination, antibiotics. Malnutrition, eating disorders and digestive system related diseases. Good habits to keep a healthy heart. Top 10 weirdest prescription drug side effects.Most of us take prescription drugs: if all goes well, the drug works for you as it's supposed to. But there's no drug that works the same for everyone without any risks or side effects. Learn about some of the scariest ones. Flu attack! How a virus invades your body.Wondeful animation that shows you how viruses trick healthy cells to join the dark side. Pandemic!10 of the world's deadliest diseases and why they might wipe us out yet. 10 worst epidemics.Take a look at 10 of the worst epidemics to ever plague Mankind and how each disease works. Tuberculosis, the unromantic killer.Learn about this so-often neglected infectious disease and how it is a real threat for many people. Cholera's prevention preferable to its cure.Learn how cholera kills by dehydration. Killer cholera begins where other diseases end.Learn how cholera can be treated succesfully. MicrobiologyBytes.The latest news on microbiology. How the world was rid of smallpox.It's the only disease that humankind has successfully wiped out - and the eradication of smallpox was brought about by Edward Jenner. How the H1N1 vaccine is made.Learn all the efforts required to make a new vaccine against a virus and why it takes six months from start to finish. 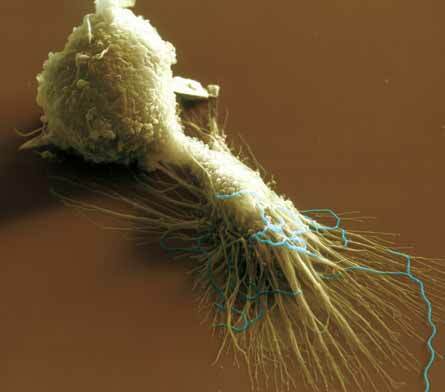 Phagocytosis.Learn how the immune system's phagocytes can destroy invader microorganisms. Heart health quiz.How much do you know about the dangers that threaten the heart, and what can you do to keep it healthy? Take this quiz to find out. Caffeine Facts.Learn how caffeine picks you up and which are its most remarkable effects on the nervous system. This is your brain on caffeine.Learn about the effects of caffeine withdrawal. This narrated medical animation illustrates the story of a heart attack (myocardial infarction) from a blocked coronary artery due to atherosclerosis. This video gives a thorough explanation of stroke, covering anatomy and physiology, different types of stroke, and treatment. This animation shows the health risks of smoking tobacco. This animation explains the causes, symptoms and treatment of type 1 diabetes, a condition in which your pancreas does not produce insulin. This animation shows type 2 diabetes, a condition in which the level of sugar in the blood is too high. Short introductory video on the immune system and the skin as infection fighters of our body. Watch a neutrophil white blood cell going after a bacterium in the blood. 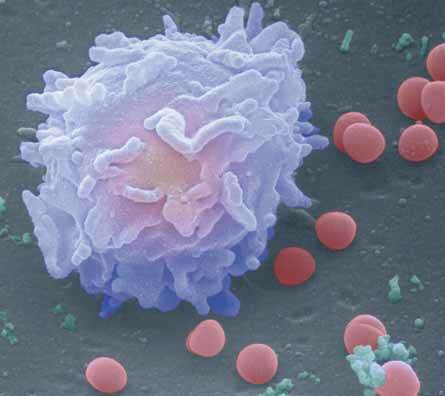 This video shows the function of white blood cells in normal immunity. It also portrays how the human HIV affects the immune system and causes AIDS.